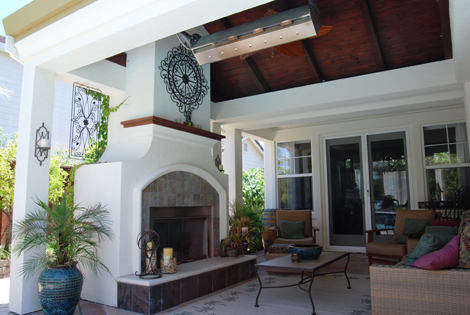 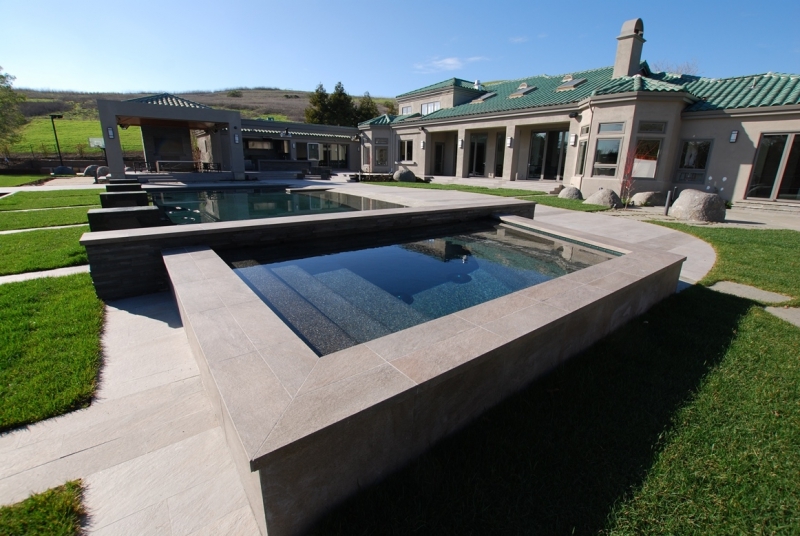 “The people were wonderful, all of the employees starting with the designer; their efficiency was incredible. 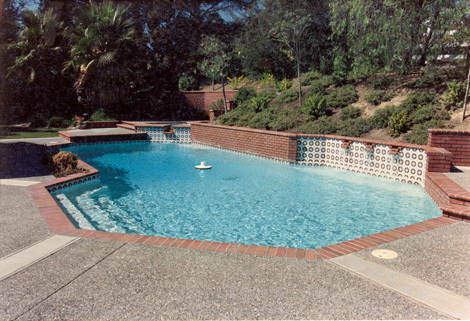 Could not have been happier with the results. 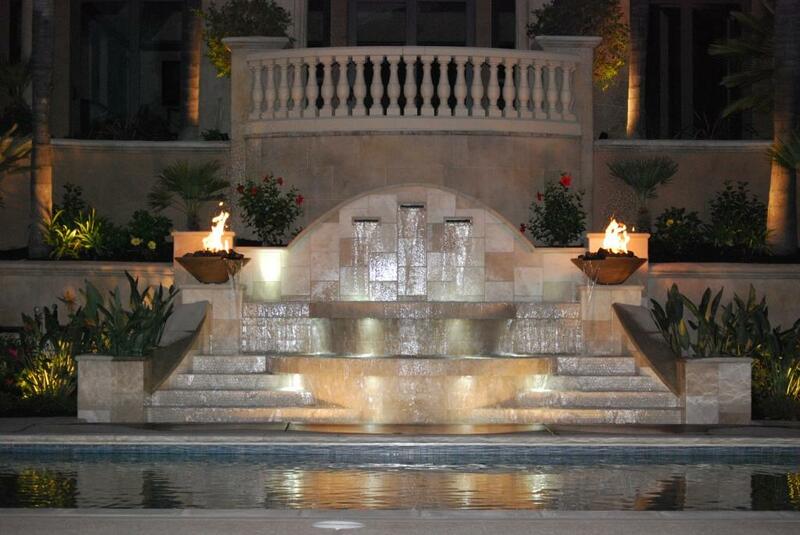 Beautiful design and fabulous execution”. 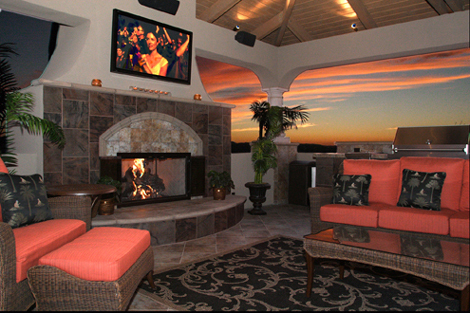 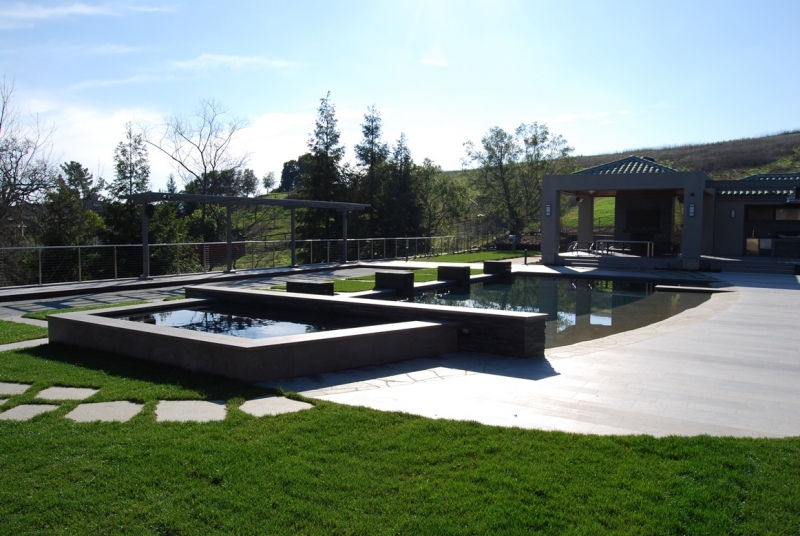 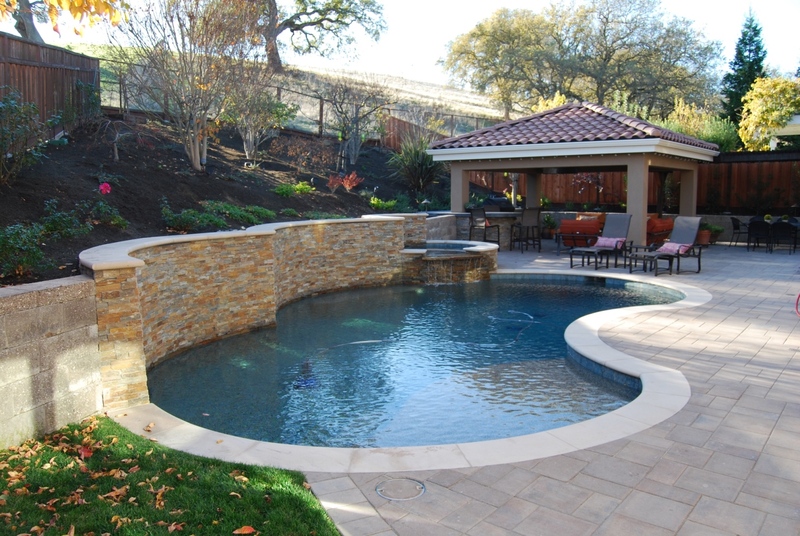 Browse our swimming pool design project examples along with arbors, pavilions, cabanas, and other complete landscape design and construction projects. 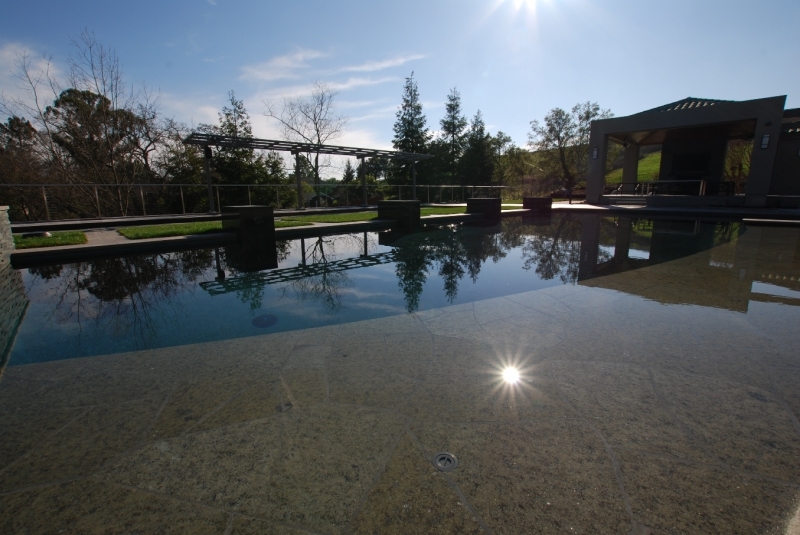 “Professionalism and down to earth. 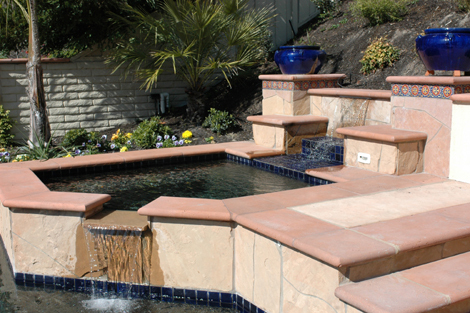 Their easy to talk with and the presentation didn’t compare with anything we had seen prior. 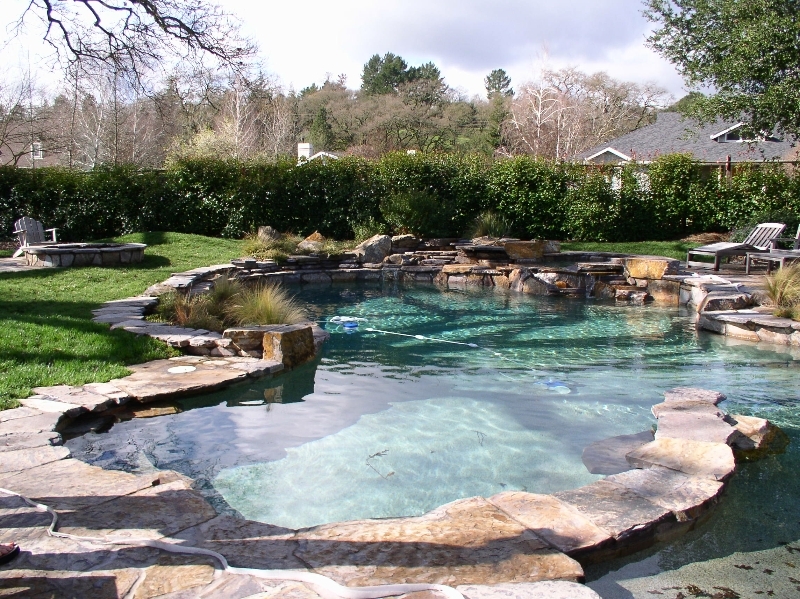 We saw what our pool was going to look like in full drawing and architectural plans and that was a big selling point for us”. 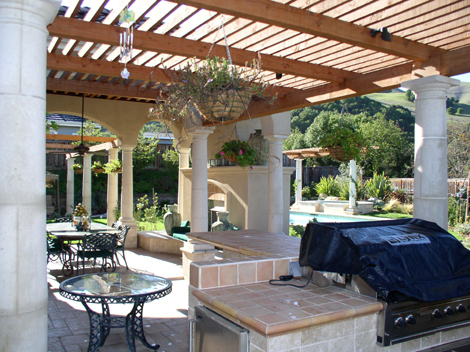 Over 30 years of experience. 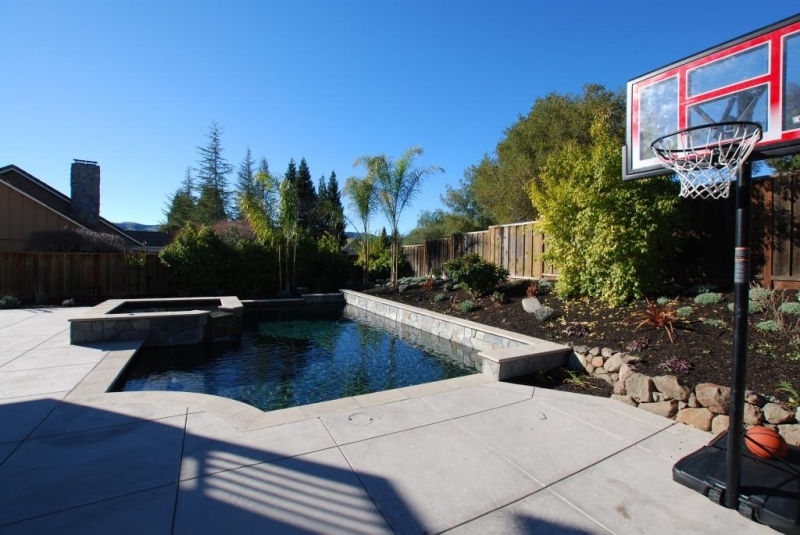 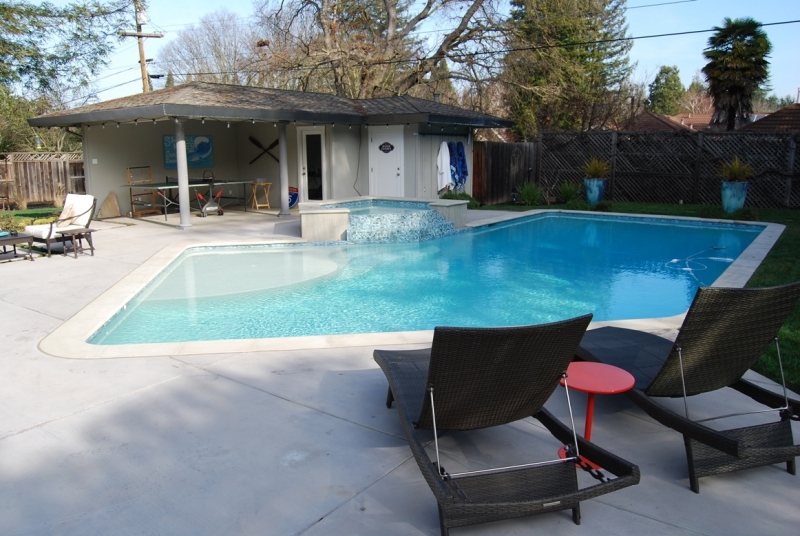 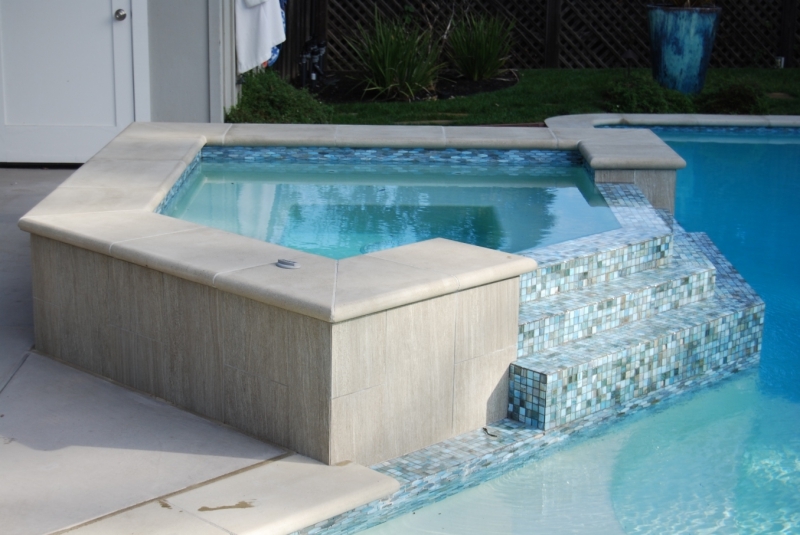 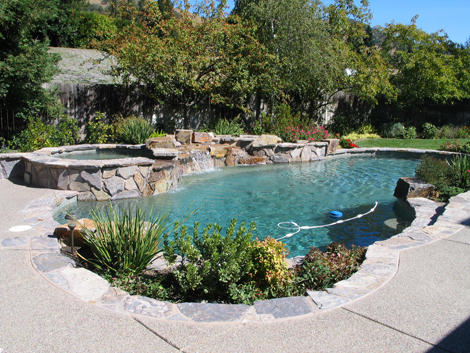 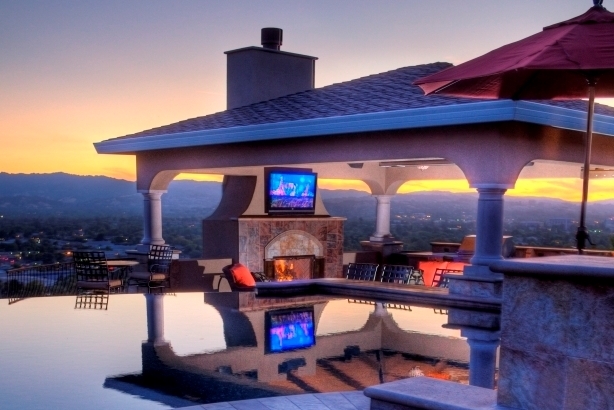 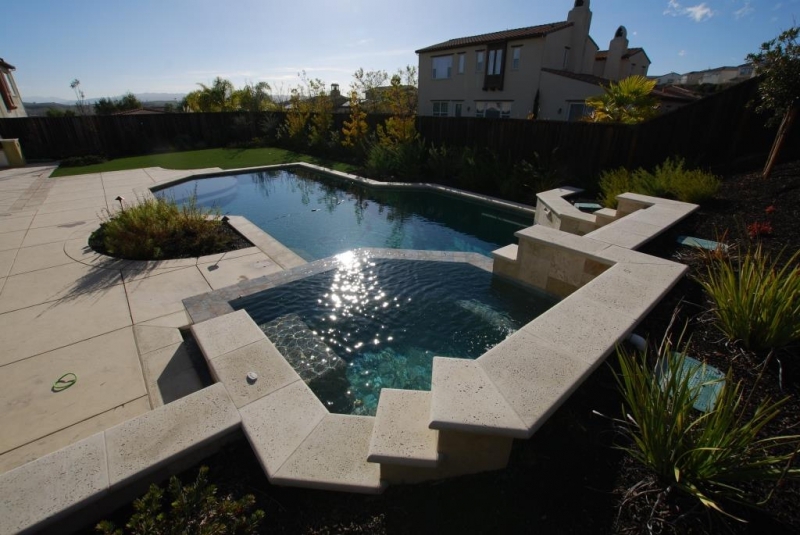 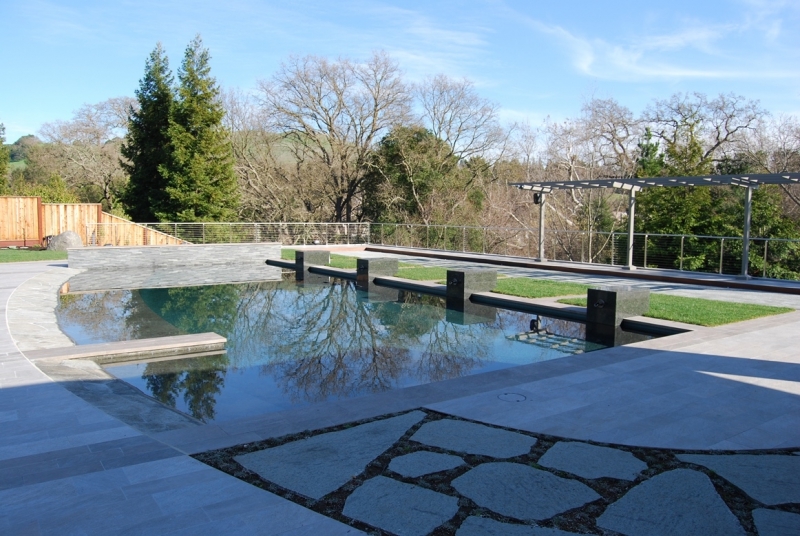 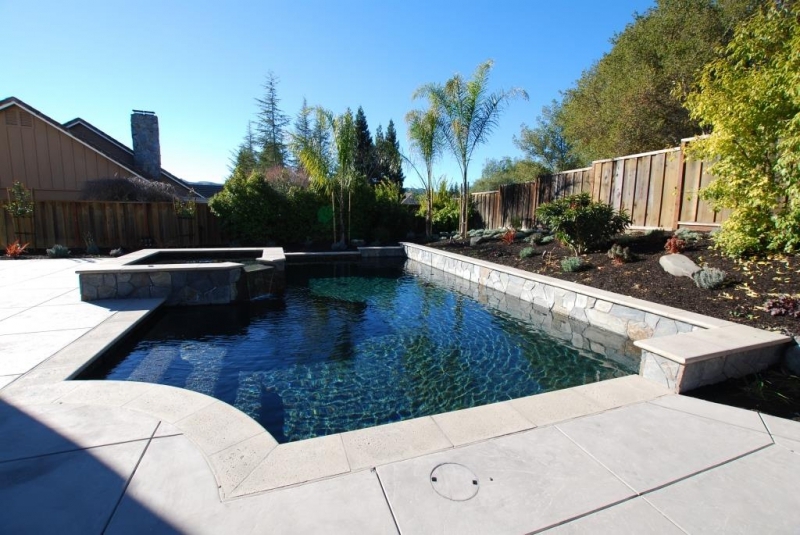 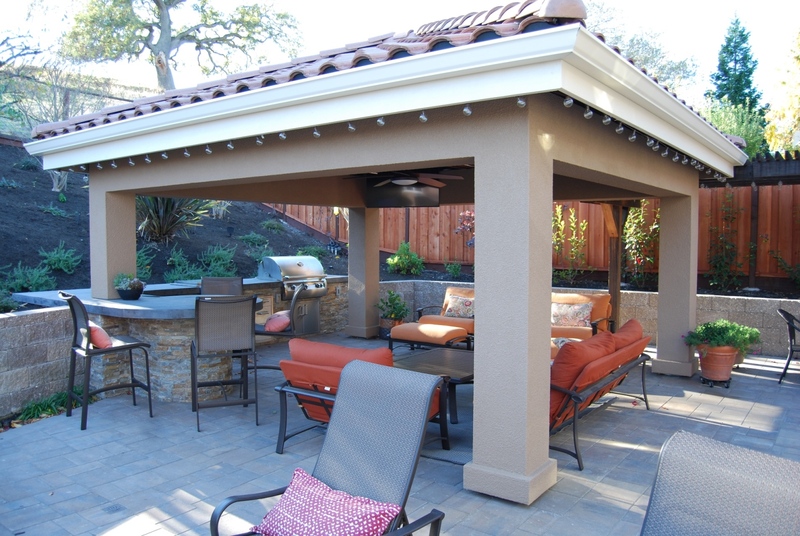 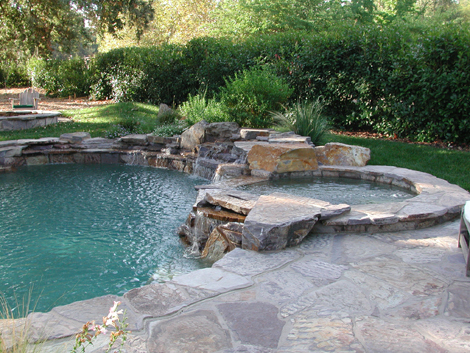 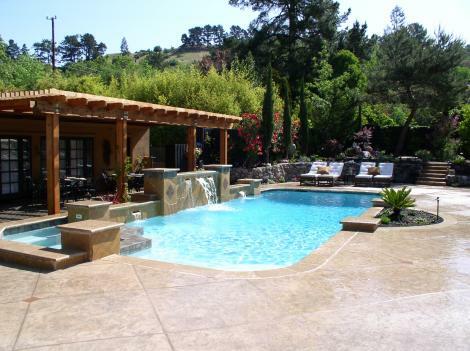 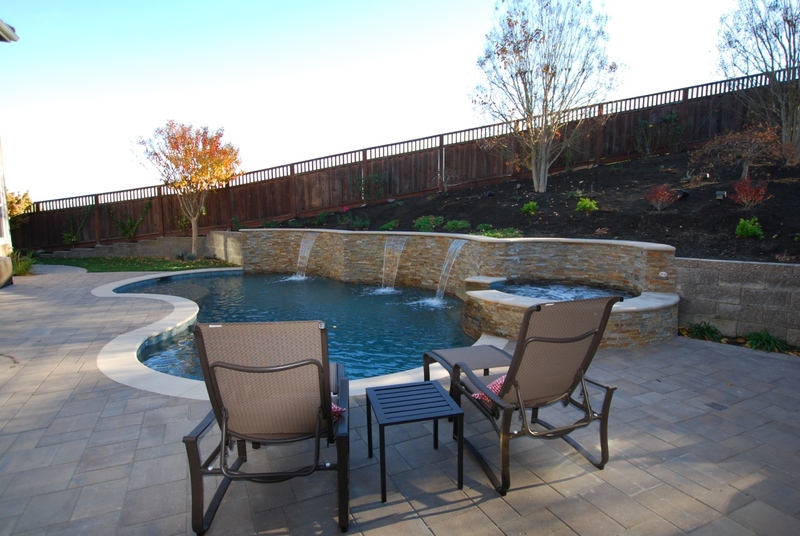 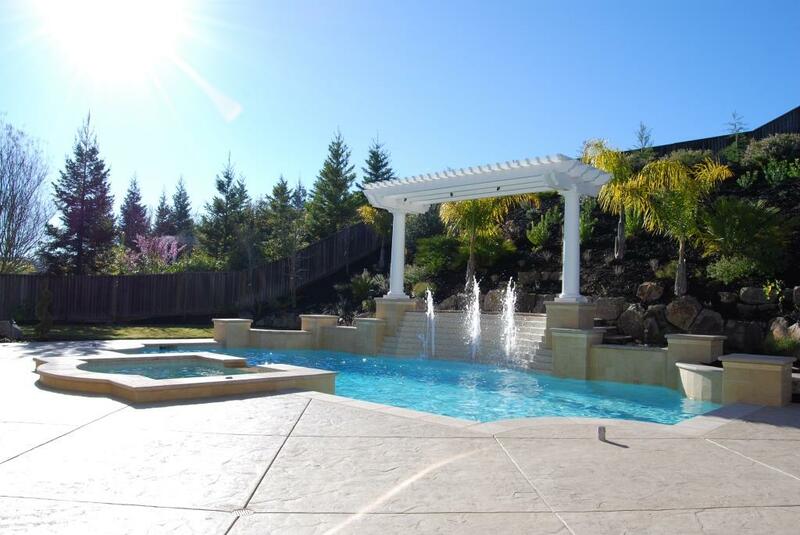 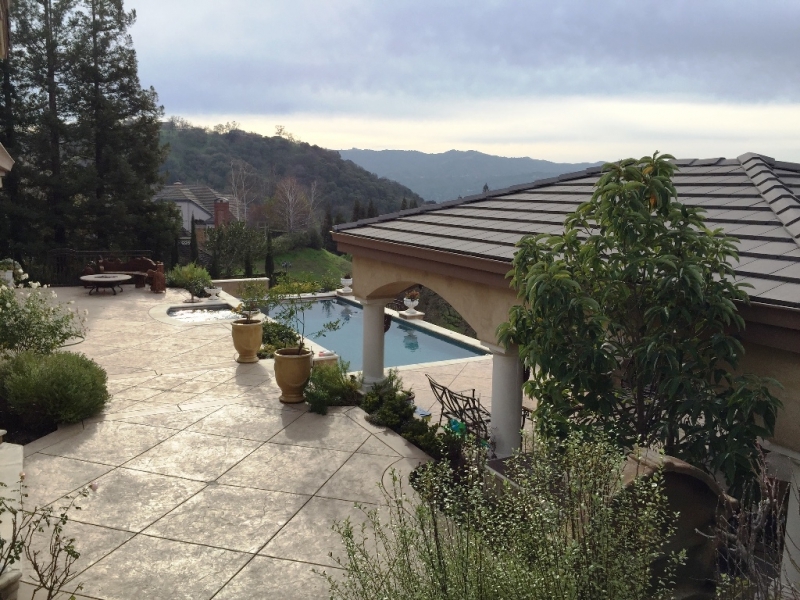 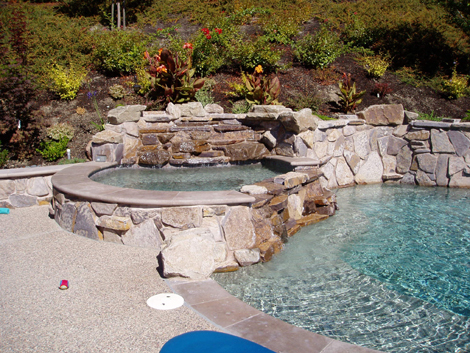 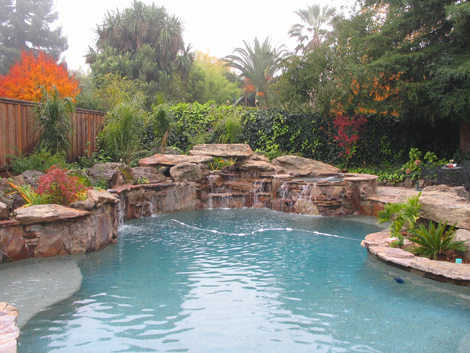 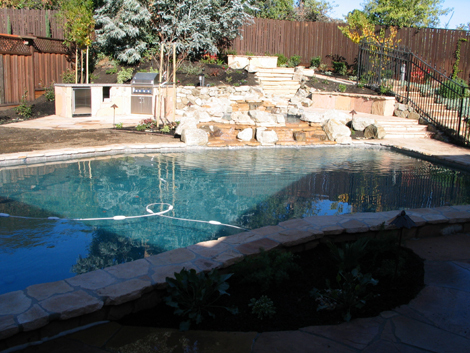 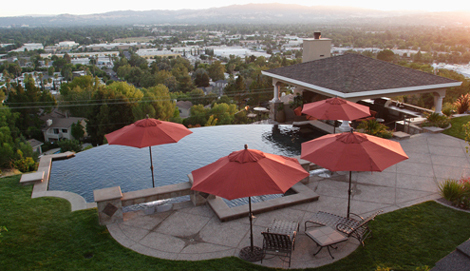 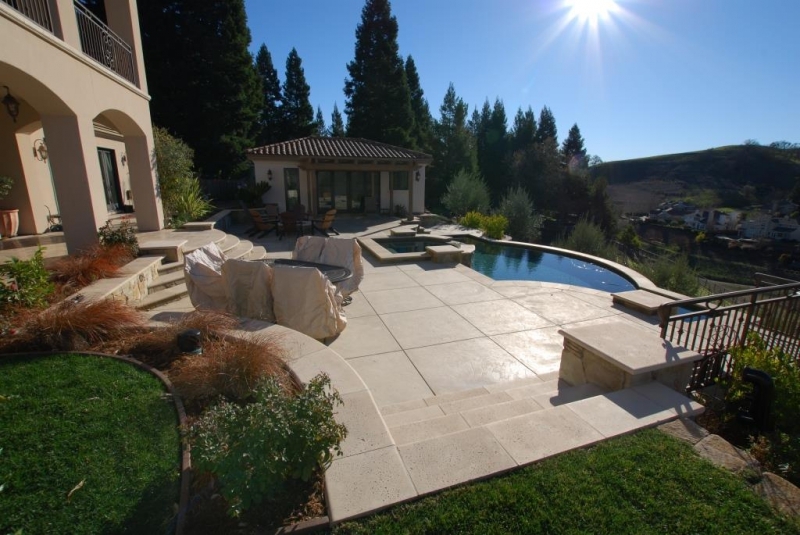 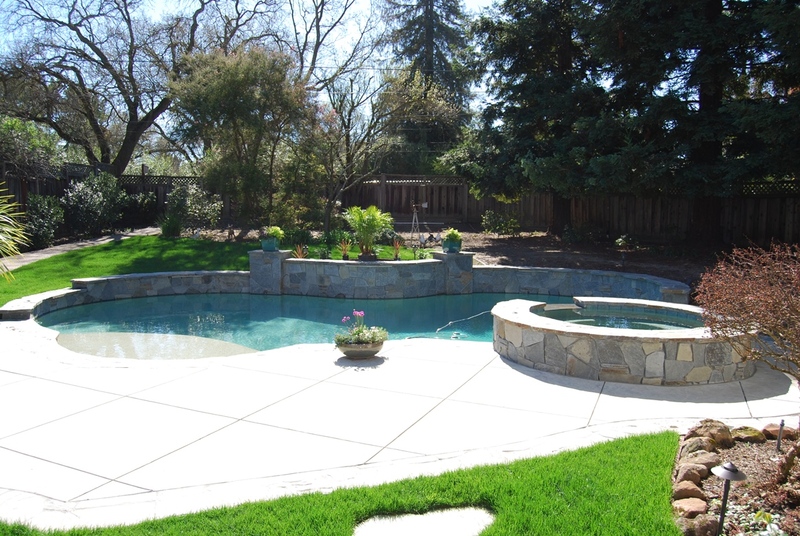 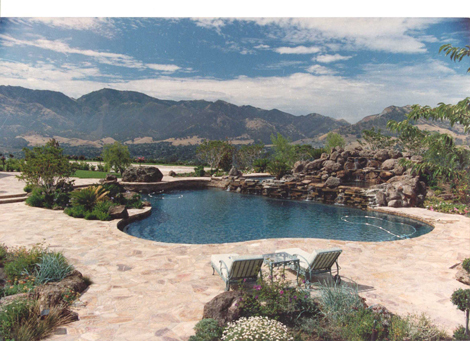 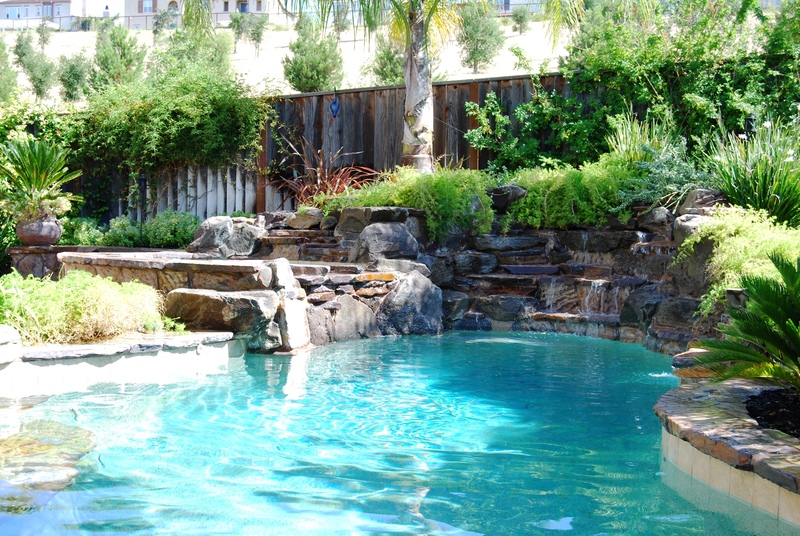 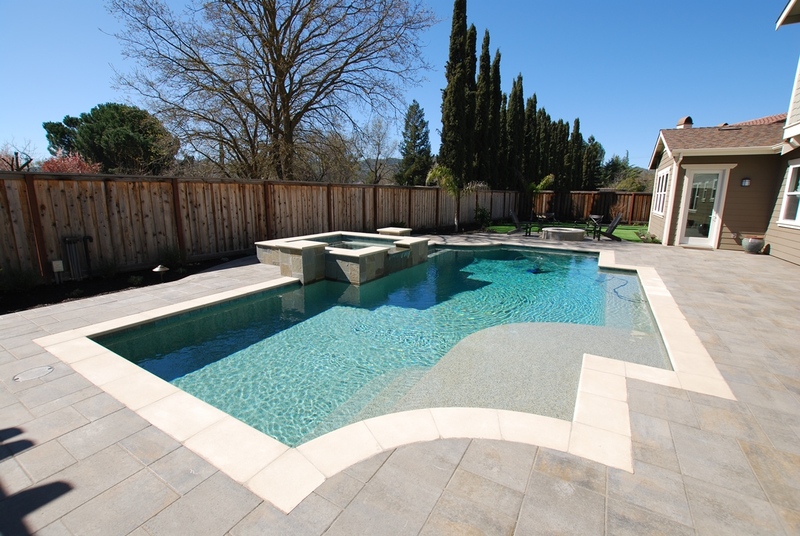 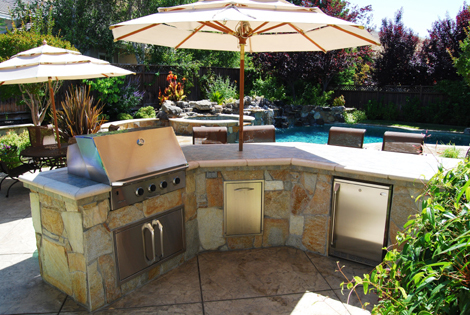 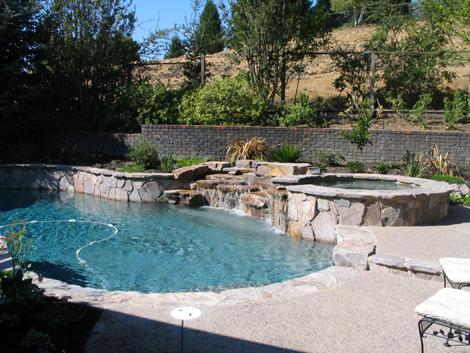 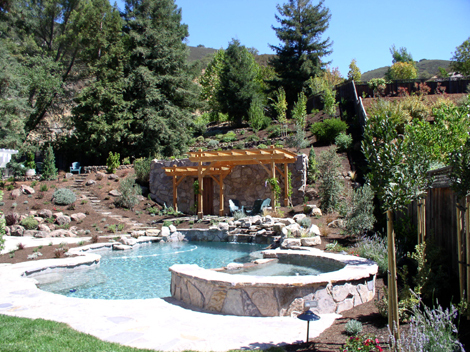 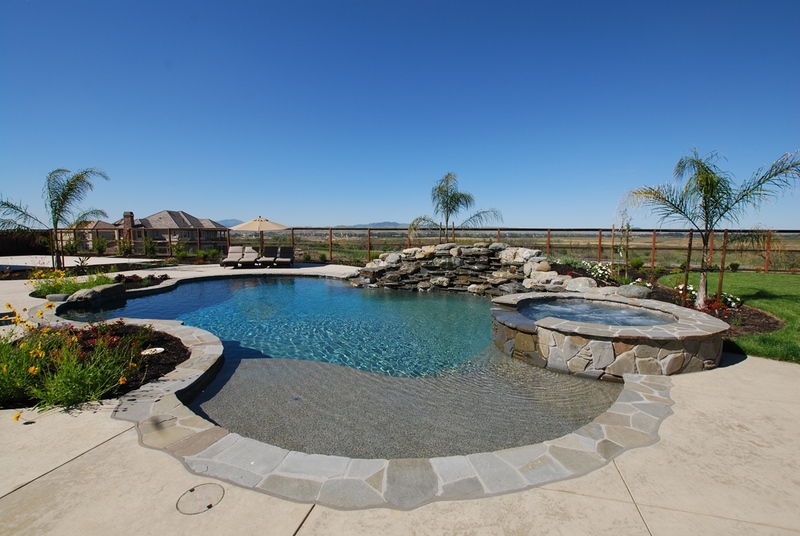 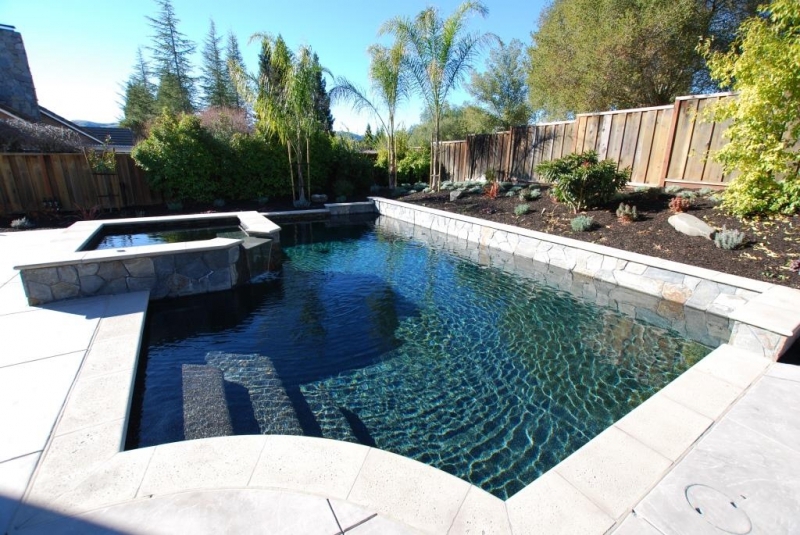 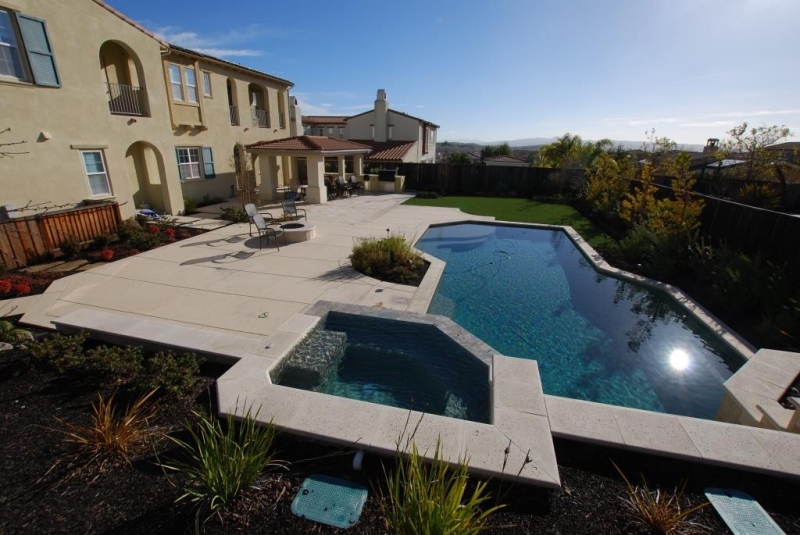 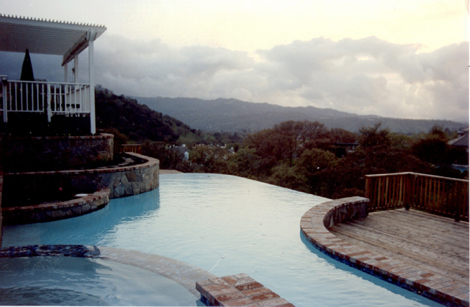 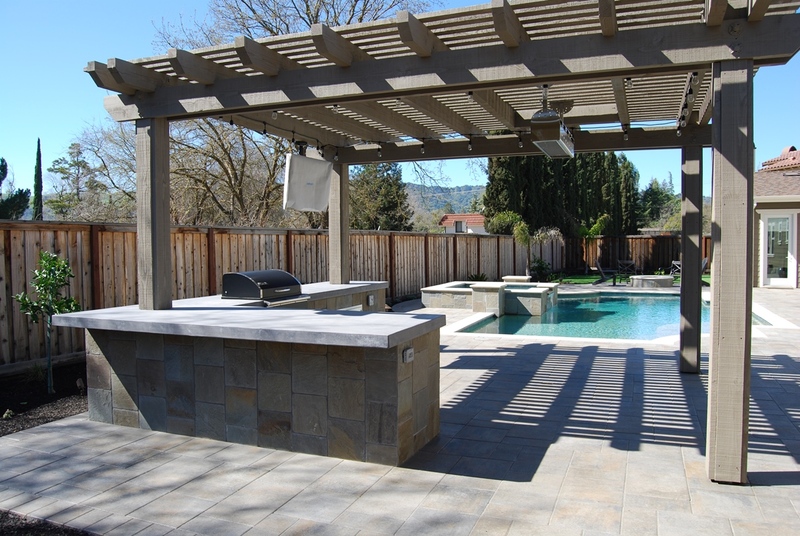 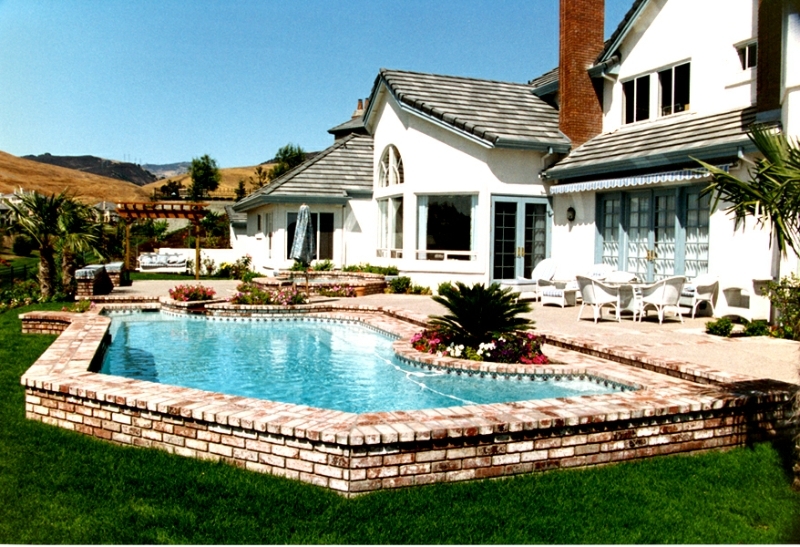 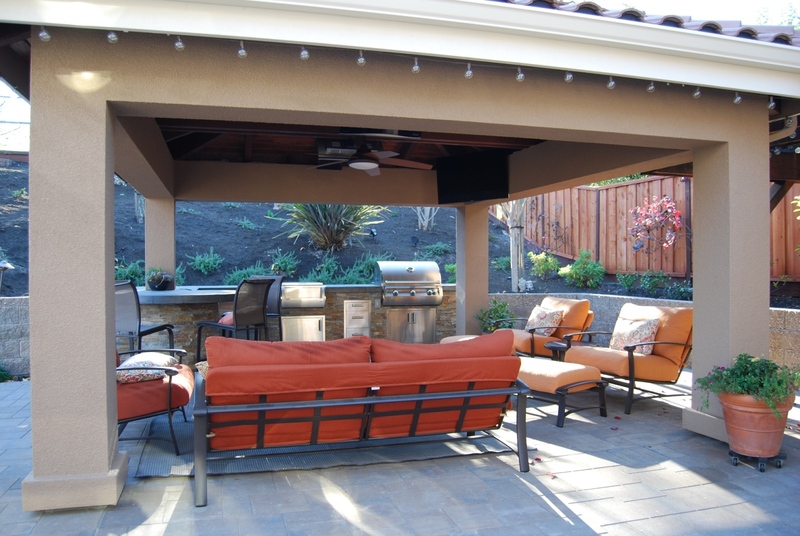 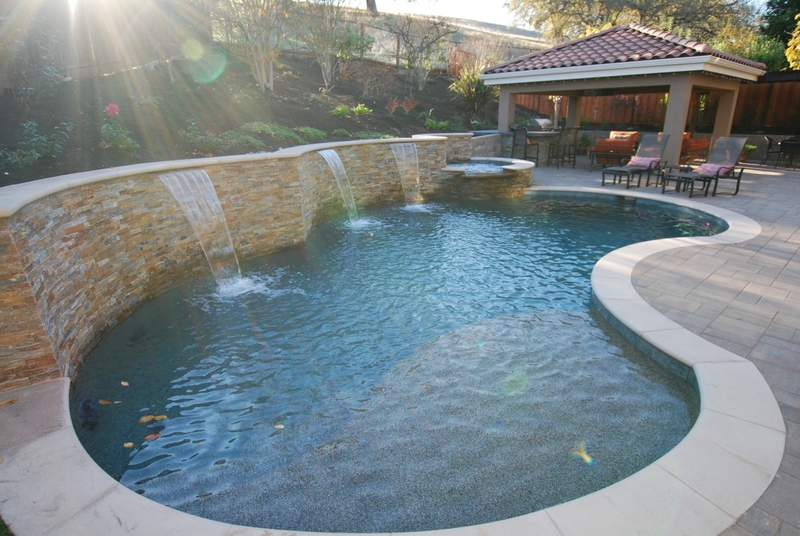 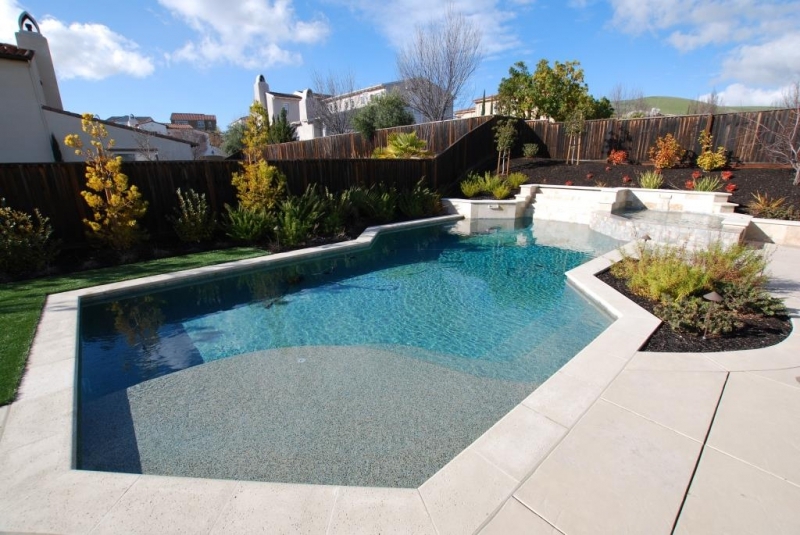 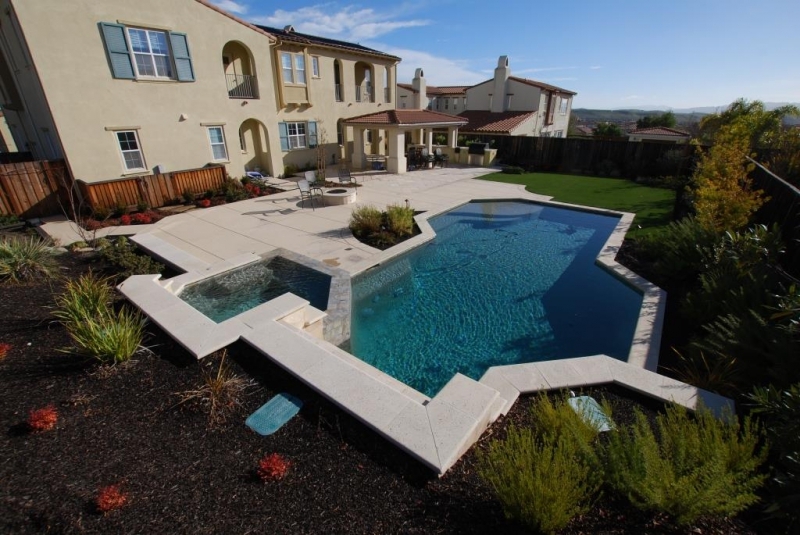 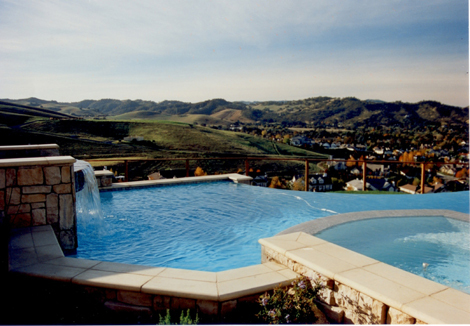 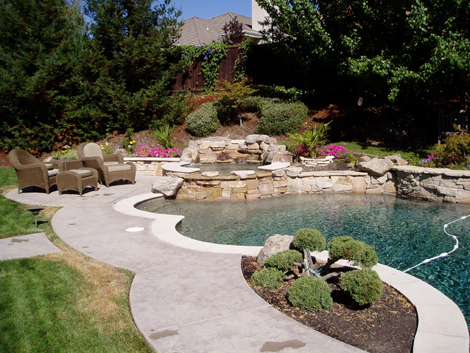 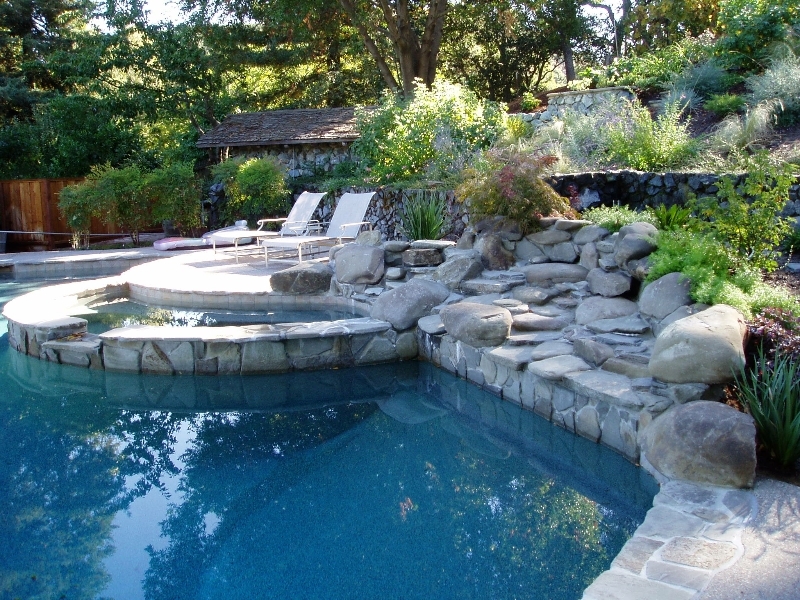 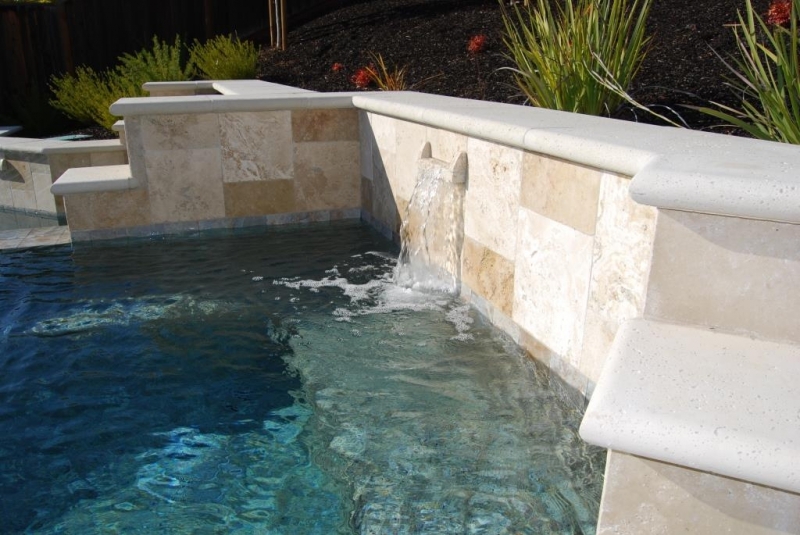 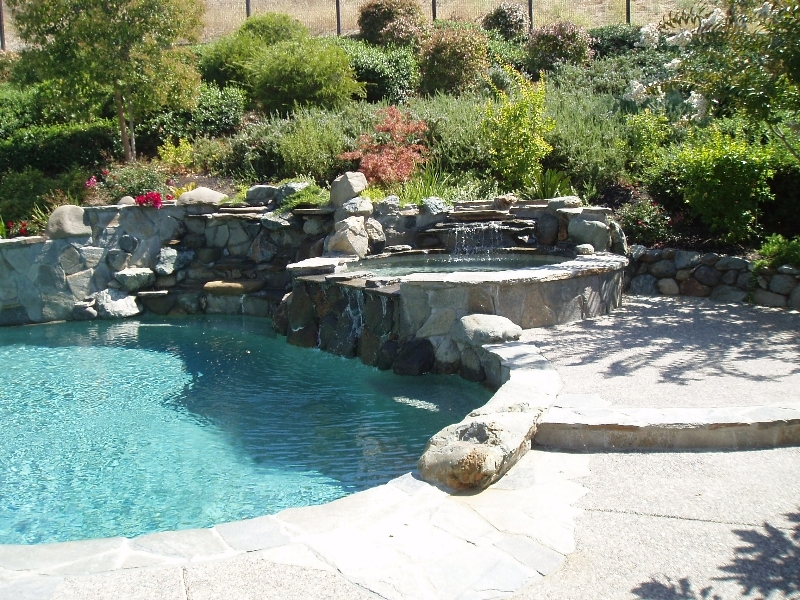 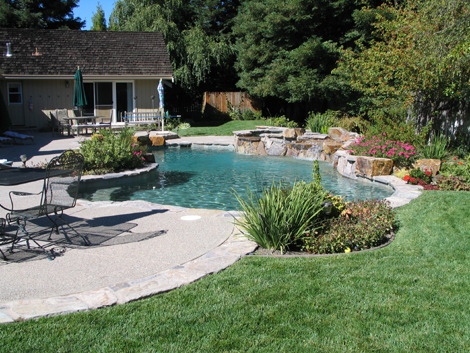 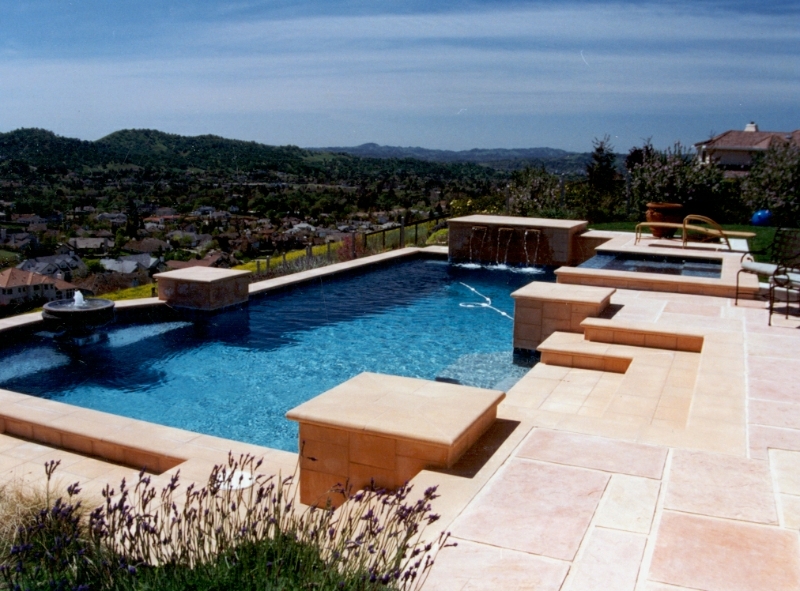 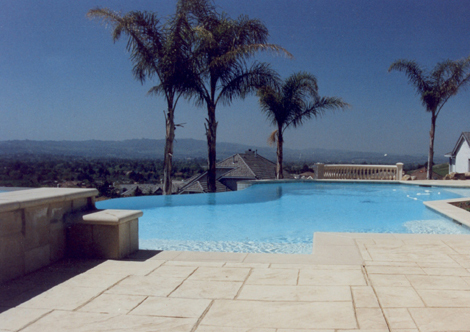 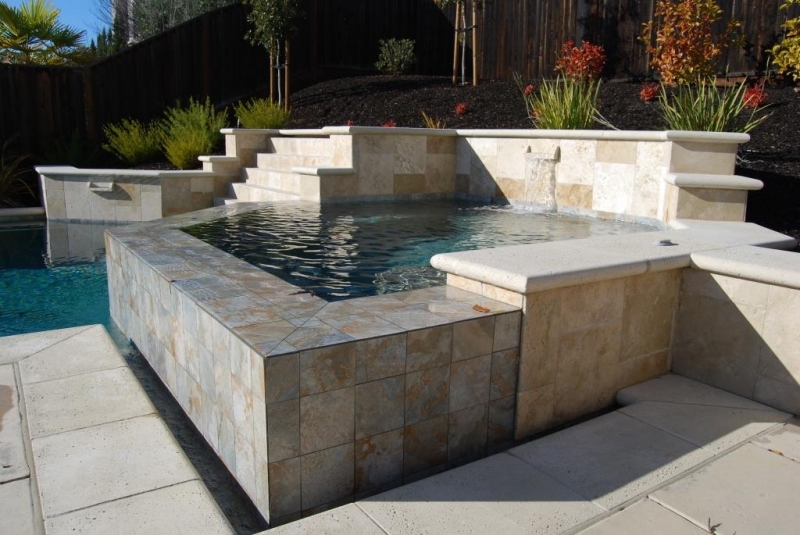 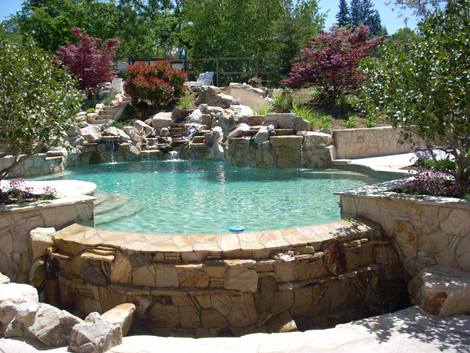 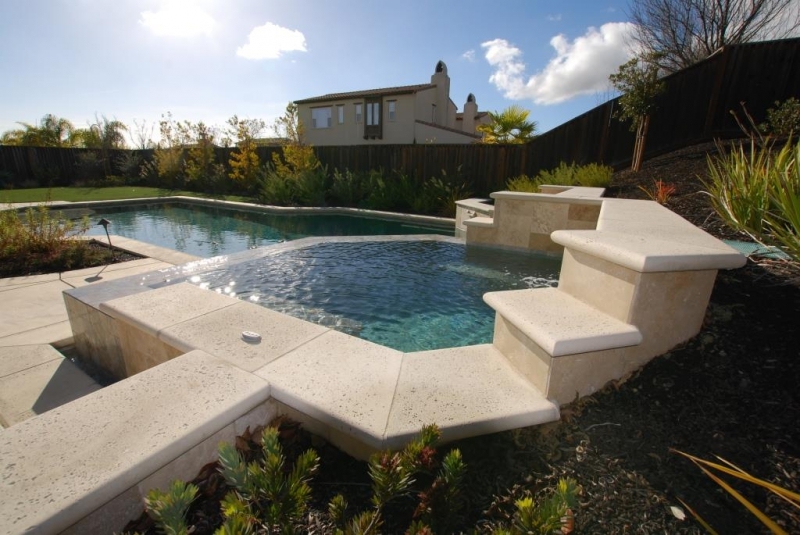 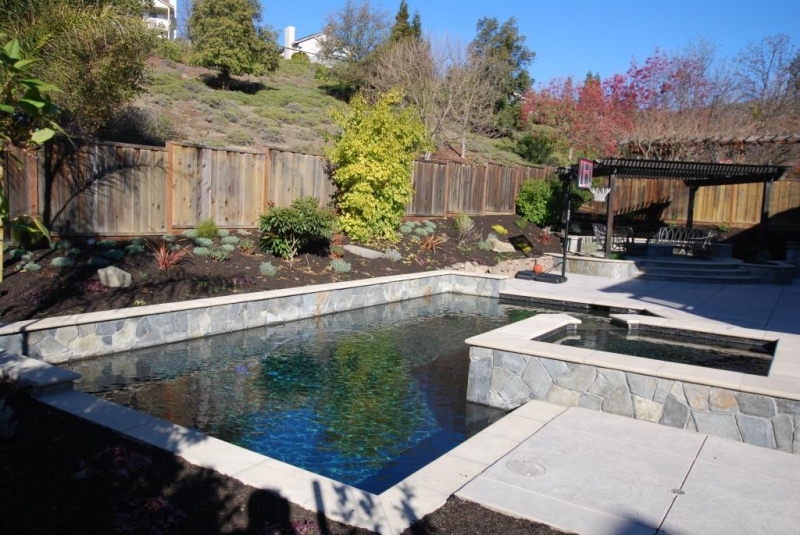 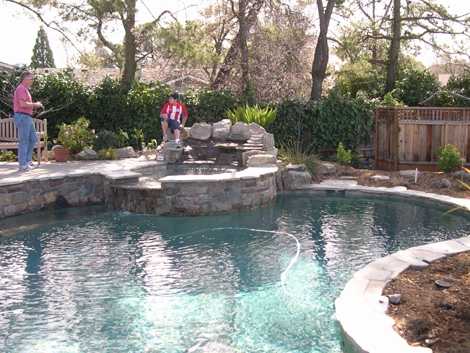 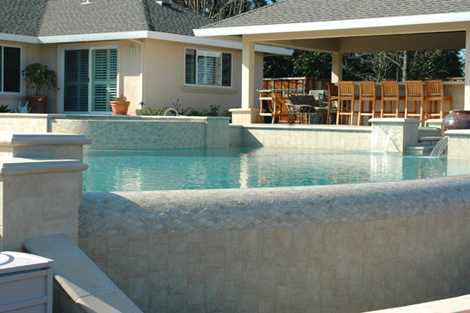 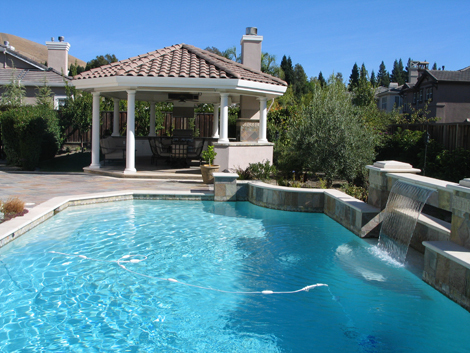 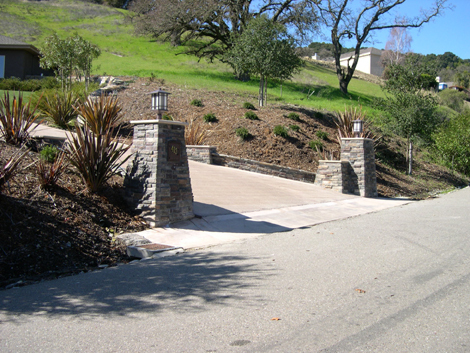 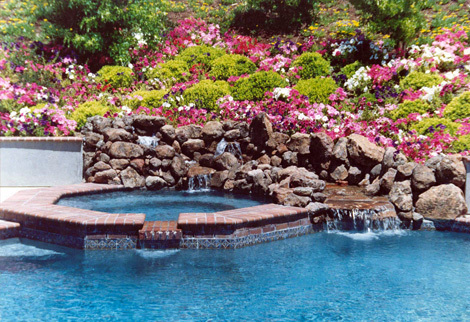 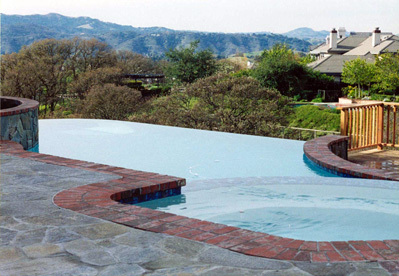 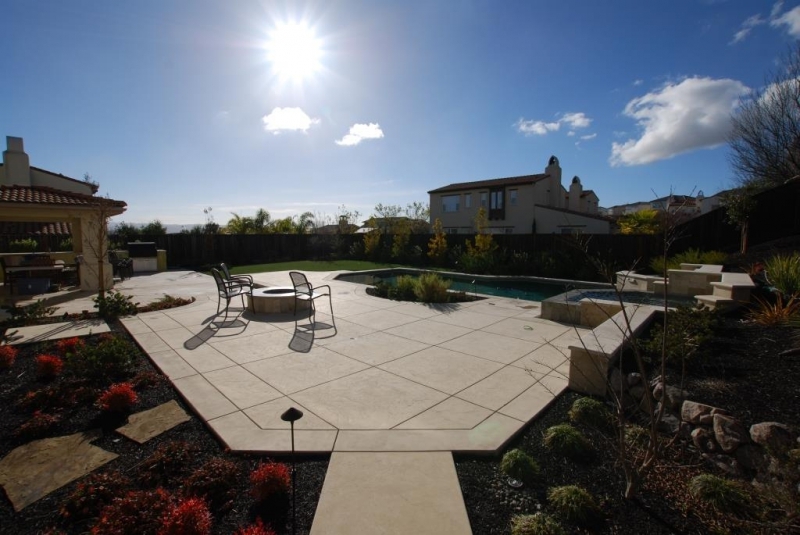 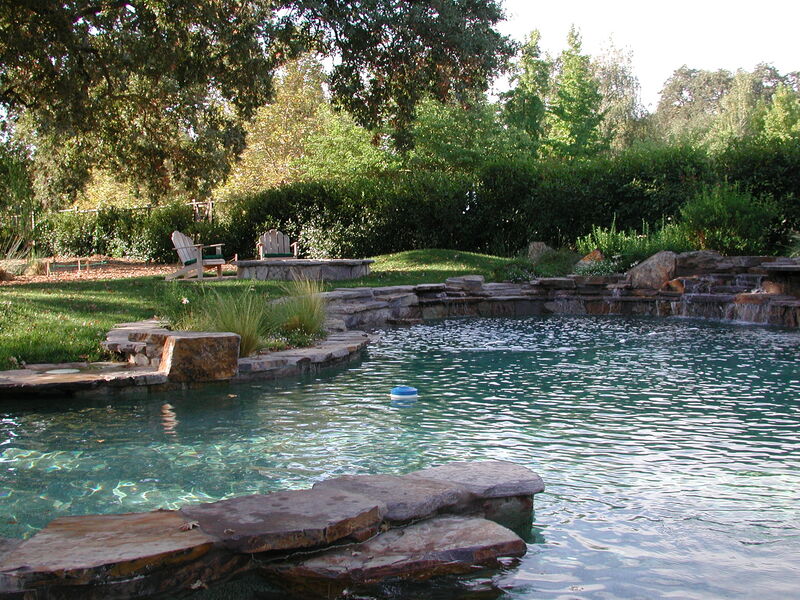 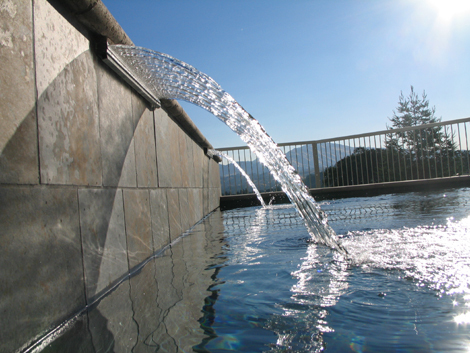 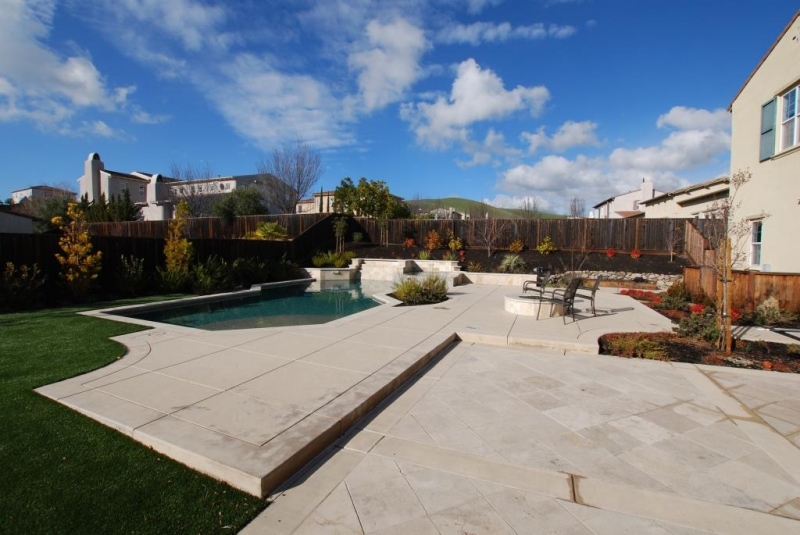 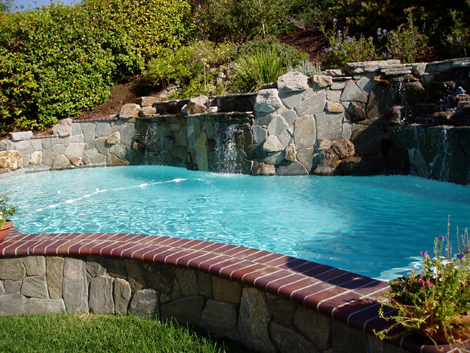 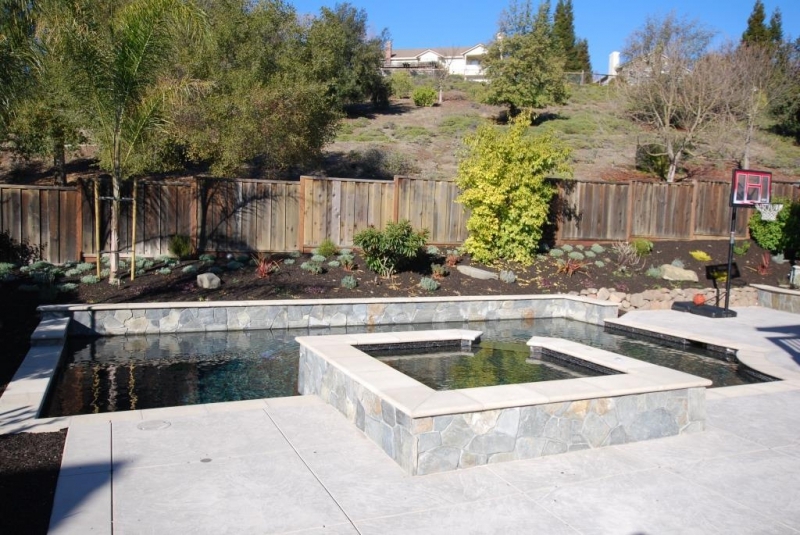 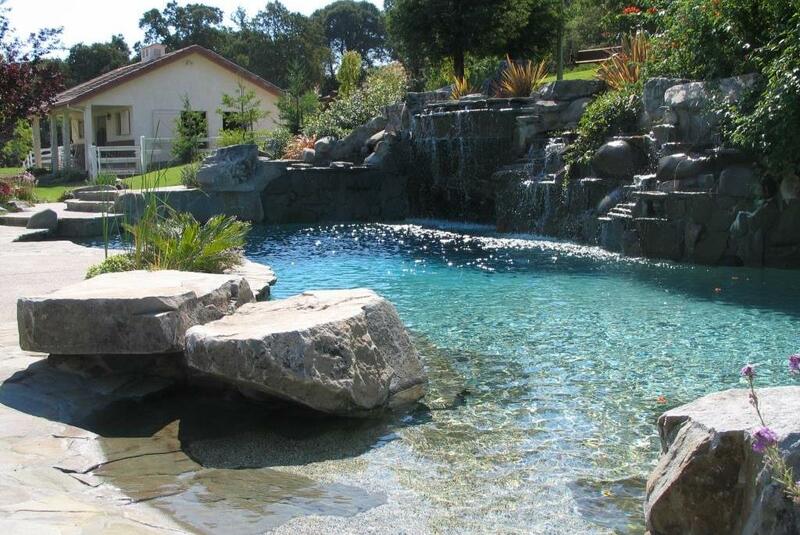 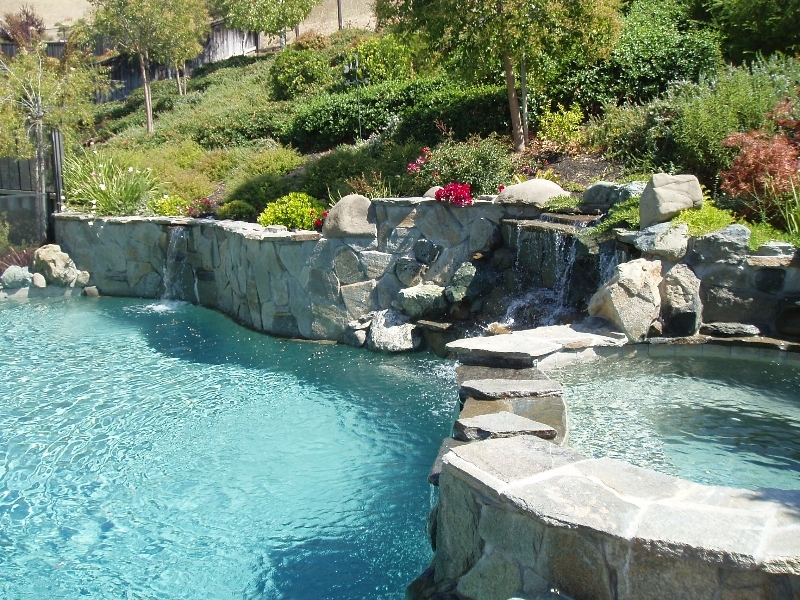 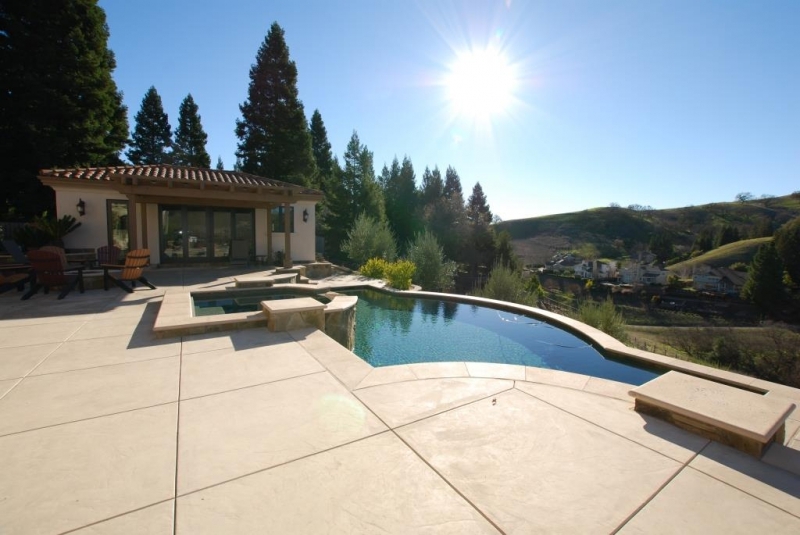 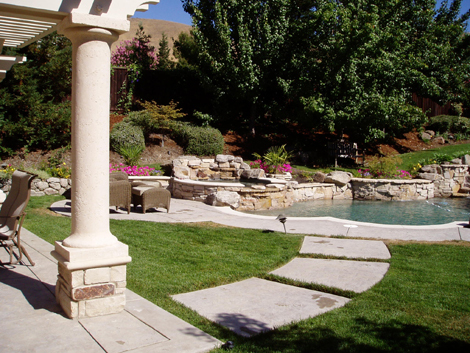 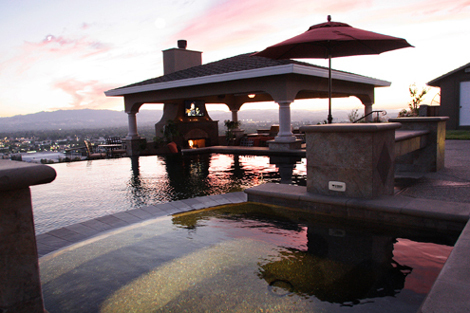 We are the East Bay leader in quality swimming pool design and construction. 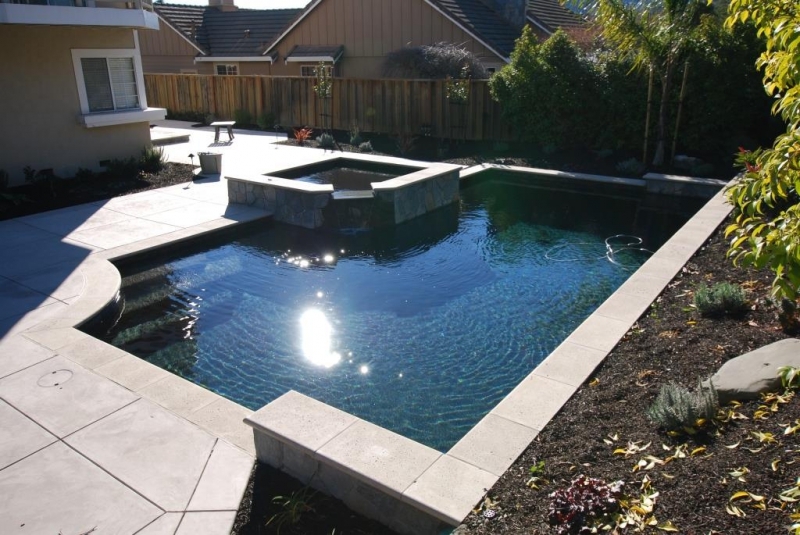 We are know for our innovative and challenging swimming pools including swimming pool remodeling and complete yard restorations. 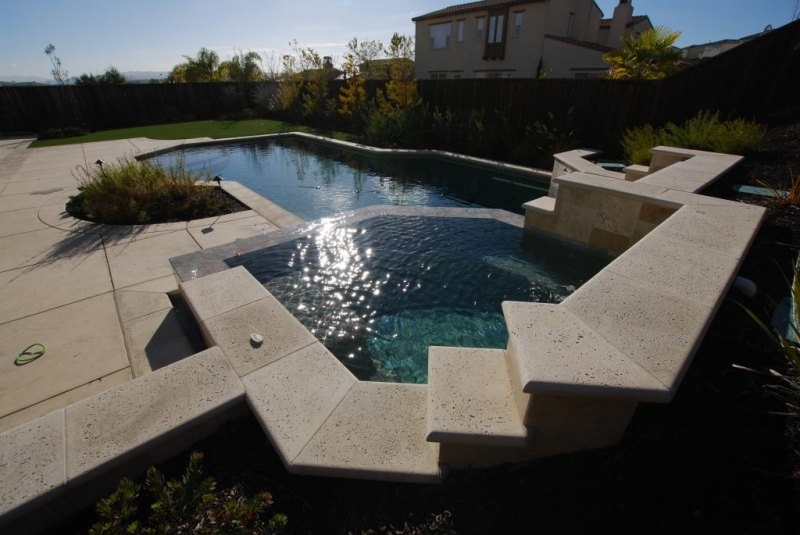 "We saw what our pool was going to look like in full drawing and architectural plans and that was a big selling point for us"